After a 5 year hiatus, powerhouse creators Kieron Gillen and Jamie McKelvie are diving back into the world of Phonogram. Originally published in 2006 as a limited run, the title is described as “a warped autobiography” (emphasis on warped) by author Gillen who uses the stories of his past to reconcile its loss. 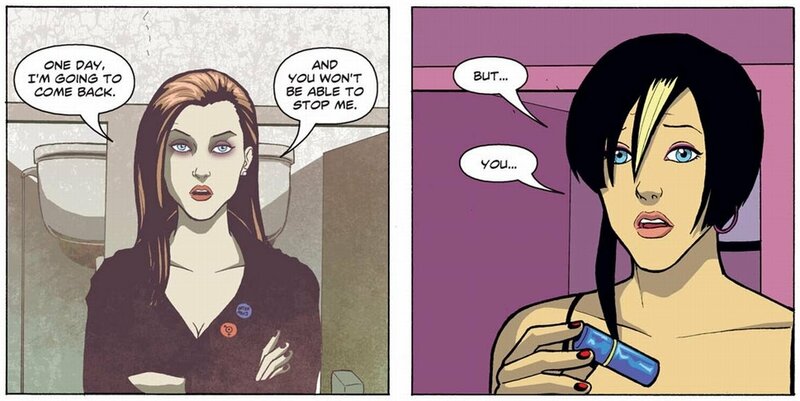 Despite supernatural elements and improbable events, Phonogram is about growing old. 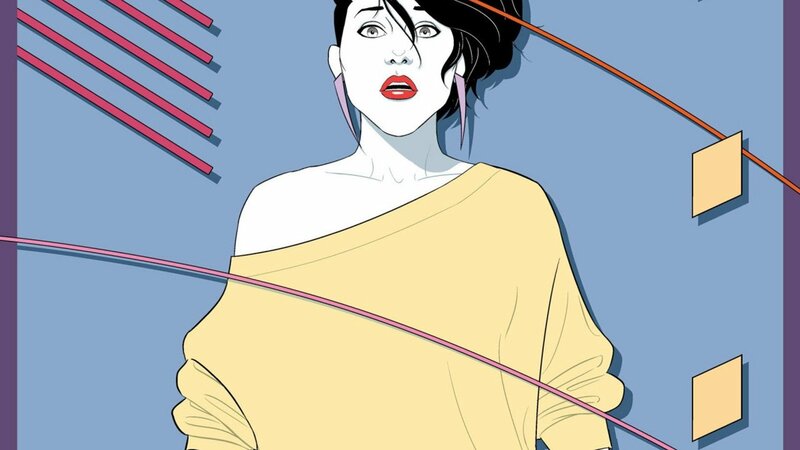 This third volume of Phonogram focuses on the character Emily Aster as she tries to cope with a dual-personality; it follows issue 3 from volume 2 that focused on the same. The timing of releasing this third volume works in perfect synchronization with the pair’s other title The Wicked + The Divine, which is also published by Image and has been met with commercial and critical success. Gillen’s scripts and McKelvie’s art form a melodic partnership and are an excellent representation of visual storytelling and a well-made comic. Phonogram: The Immaterial Girl is not for the uninitiated; those who are new to comics might want to work their way up to this complex story. While the visual storytelling is fairly straightforward, the script’s depth causes the story to jump around in time and space, as well as introduce new abstract concepts, all of which may be challenging to someone who is unfamiliar with the Phonogram universe or the comic medium. While each volume of Phonogram is meant to function as an insular story, fans will be rewarded for their loyalty. Volume 3 contains minimal exposition; just enough to get you caught up and in the universe, so familiarity with the first two volumes is well-served but not a necessity. In a world filled with superheroes, it is refreshing to see a script that uses the supernatural as a device rather than a gimmick. In Phonogram, music is magic, but that magic is not the point. Instead of focusing on the character’s extraordinary abilities, the story is centred on their development and follows their very human evolution. McKelvie’s art is right at home in this universe that is at once familiar but also slightly off-kilter. Expressive faces emoting in close-up frames emphasize the human element of the story; combined with Matthew Wilson’s vivid colours, they place Phonogram in its own unique universe that is beautiful and compelling. This is all the more impressive given that, at its core, Phonogram is about the aging process, lost youth, identity crisis, and multiple personalities. These are all difficult subjects for a social medium, but the supernatural elements provide a platform to explore different ideas. Phonogram: The Immaterial Girl is not for the uninitiated; those who are new to comics might want to work their way up to this complex story.